Comments: Frank Follansbee (Nee: ) | Lubbuck TX US | 1941-1960 | Comments: Front row last two on right: Frank Follansbee laying down and Bill Hall. The rest is unknown. Can you identify them? 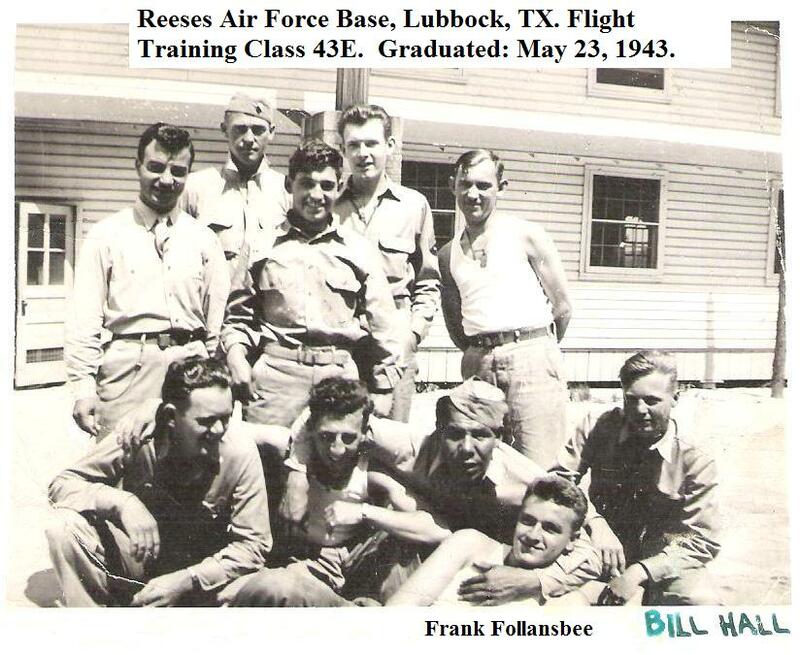 The photo was taken at the Reeses Air Base, Lubbock, TX, Flight Training School. Class 43A, graduated on May 23,1943.